We have all received that one call or email where we’re offered a big business loan at a time when we least expect them. For those oblivious to massive loan frauds going on the global scene, such calls or emails are simply too good to resist. And unsurprisingly, most of them- if not all- end up getting broke. 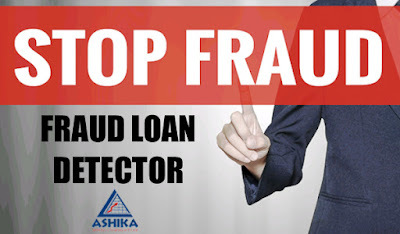 Skepticism has now set in for many new entrepreneurs for who even the genuine schemes of business loan Kolkata and in Delhi looks like a con job. Sorting what’s right and what’s not is important if you’re in the quest to launch your startup. They’re offering you a loan of Rs 10 Lakhs with zero interest rate, no annual fee, and with no late payment penalty—this sounds too good to be true; well, that of course unless you’re dealing directly with an angel here. Who sent you that mail or called you? What is that company’s name? How reputable are they in the market? These are few curious questions about your to-be-lender. However, even the mighty Google have no answer to these. This company is giving you a big business loan Kolkata or in Delhi, it ought to have a physical presence. A decent working registered office, located right in India (in fact, right in your state). Do you they gave you the address? The company asks you to pay a lump sum amount right upfront; as a security deposit, maybe? Now why the genuine ones would do that! Don’t they know you’re short on money and that’s why you’re applying for loan in the first place?! Getting loans is still a tad complex. However the company tells you that you’re going to get the amount in next 2-days by just providing your name, email and bank details. No KYC information is needed and your credit history is not checked. FRAUD! These are the 5 simple and evident signs that you’re dealing with a fraudster and not a real financial company. At time like this, don’t reply back. If they continue bothering, file a formal complaint against them. There are strict laws to put such people behind the bars. Need business loan, looking for a stock broker in Kolkata, or doing anything that involves money- do a thorough search (both offline and online), ask for recommendations, weigh the market reputation these companies enjoy and see their past record. Be careful of every aspect before you take any step further.